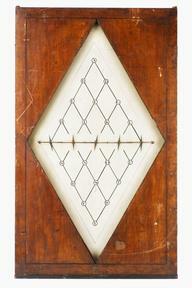 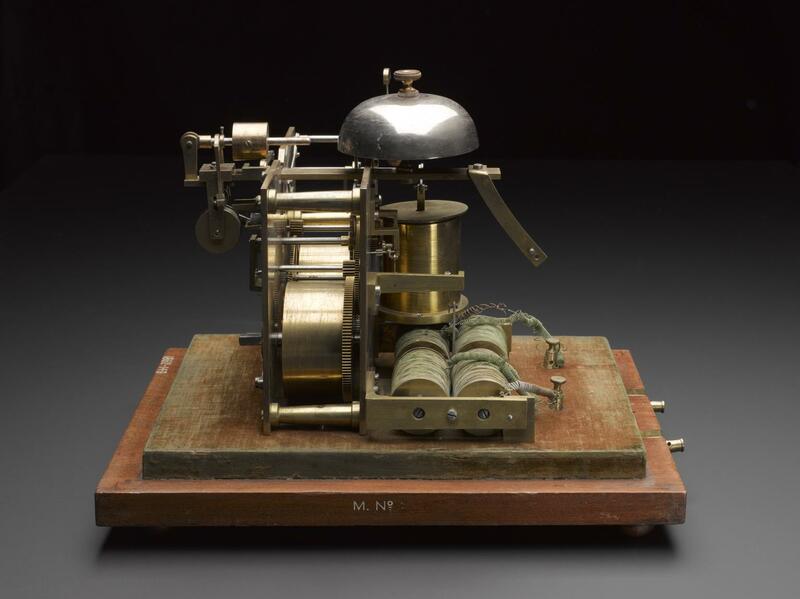 Printing telegraph receiver, probably made by John Watkins Brett, London, England, 1845-1851. 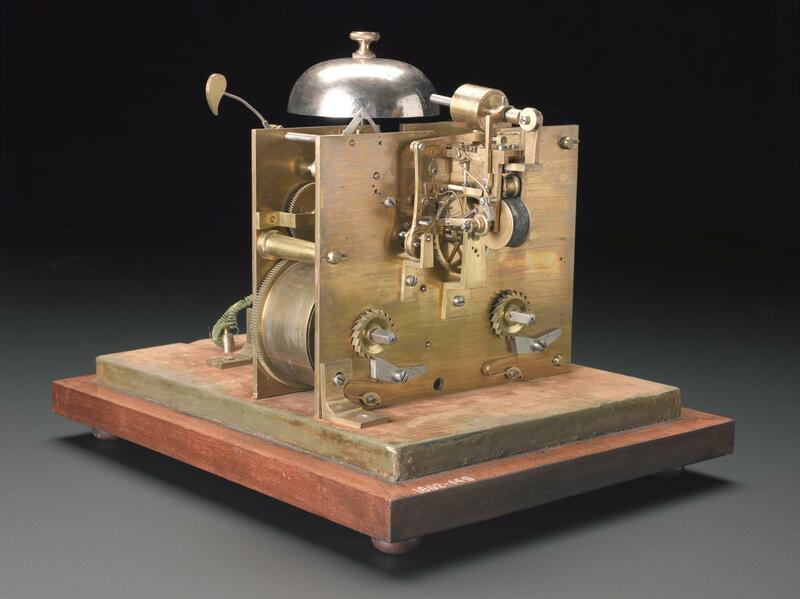 Used to transmit the first telegraphic message under the sea in 1851, from Dover to Cap Gris Nez by John Watkins Brett (1805-1863). 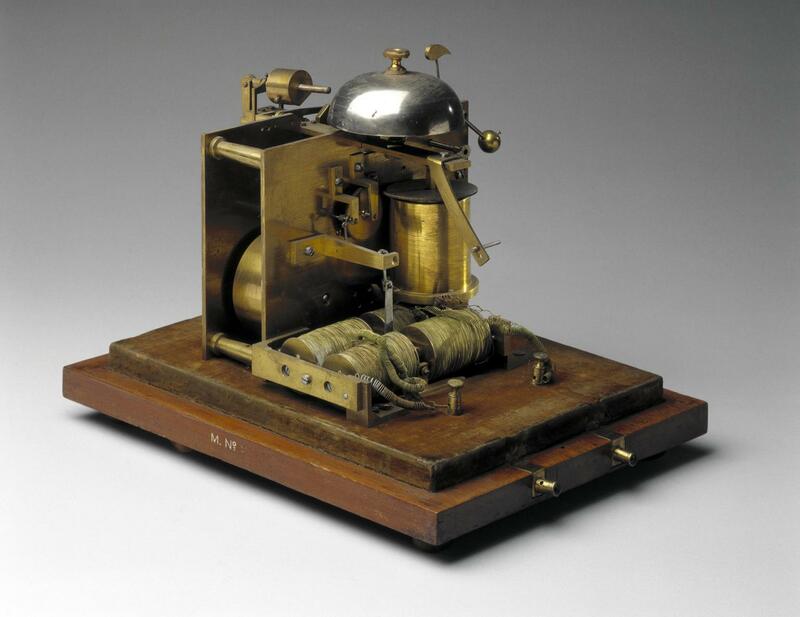 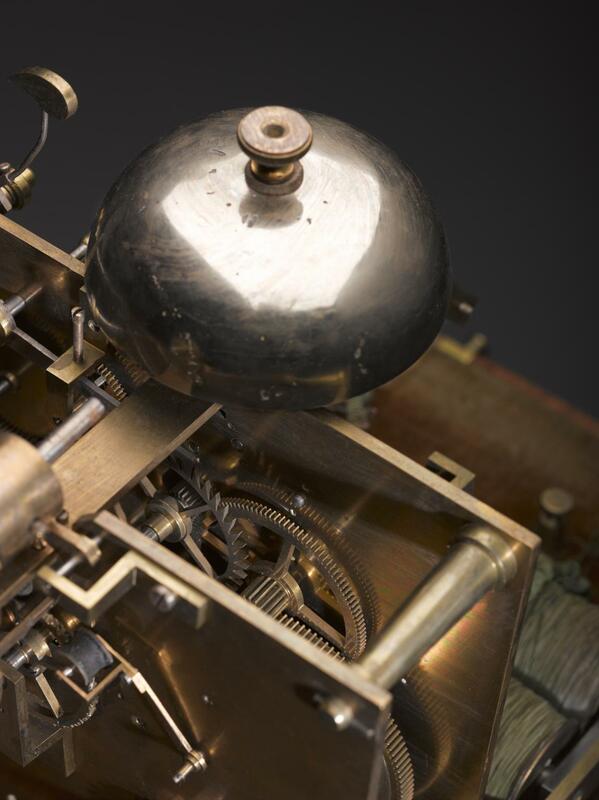 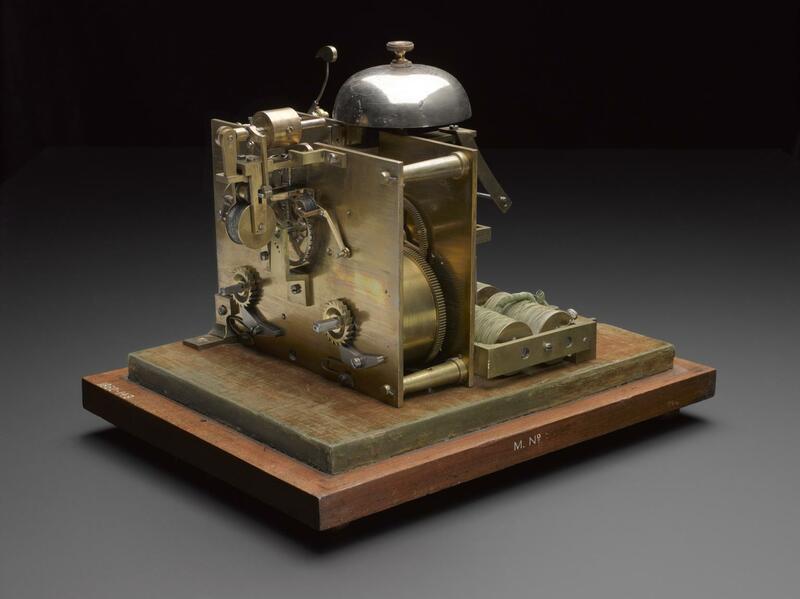 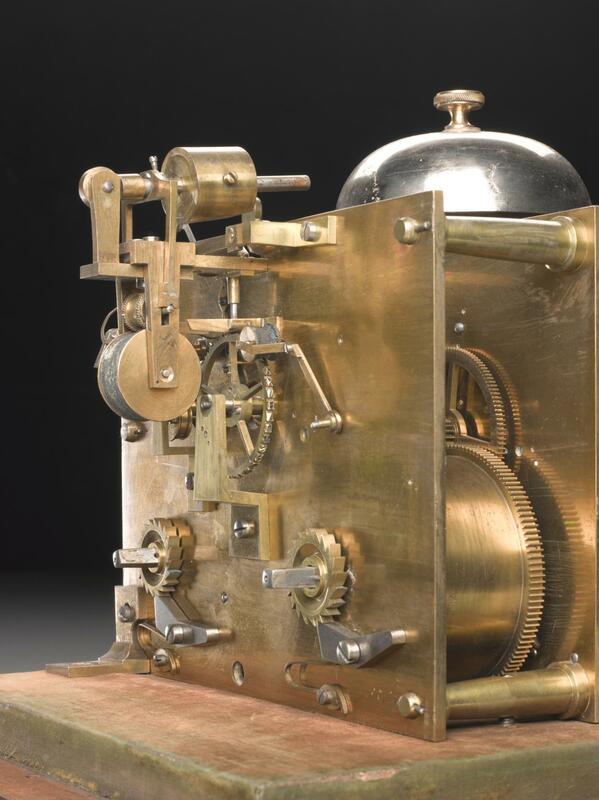 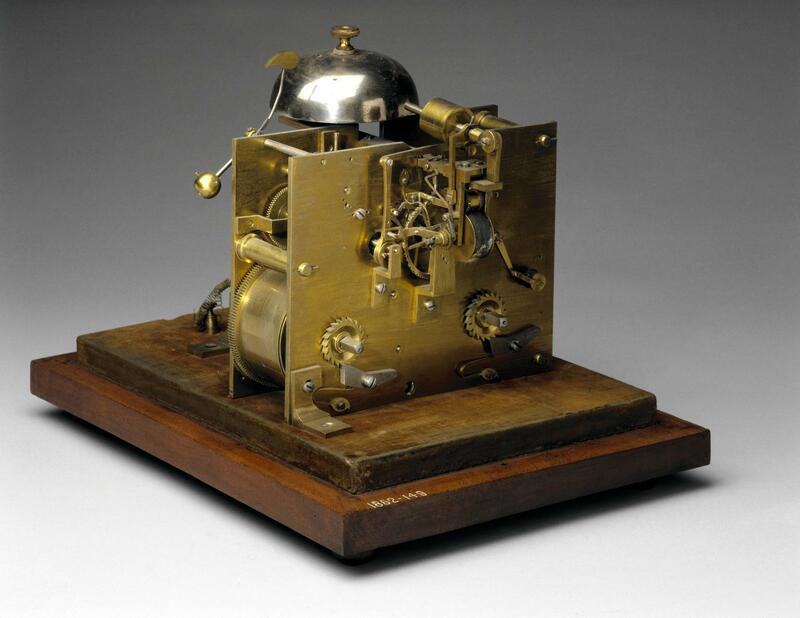 This is the receiver from the printing telegraph that was used by John W Brett (1805-1863) to send the first telegraphic message through a submarine cable, from Dover to Cape Gris-Nez, in 1851. 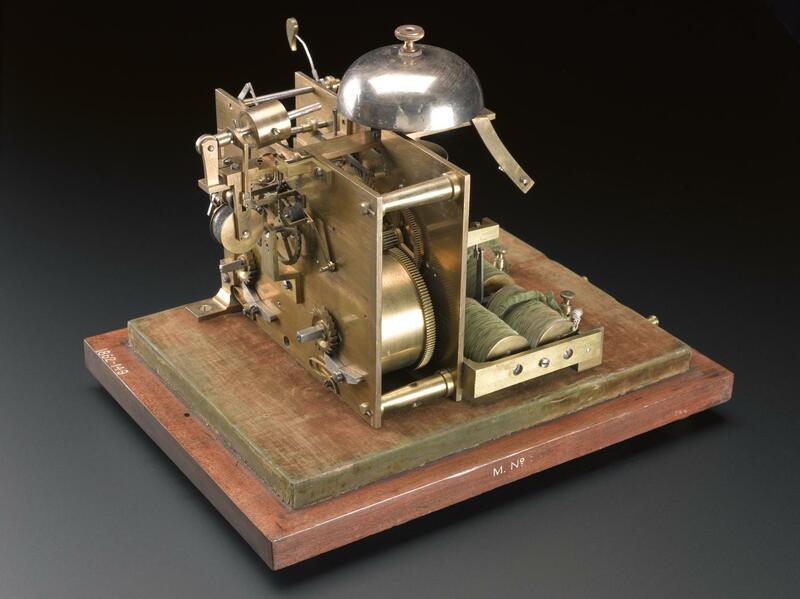 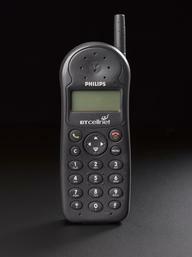 It was used to print telegraphs received from a keyboard transmitter located on the other shore. 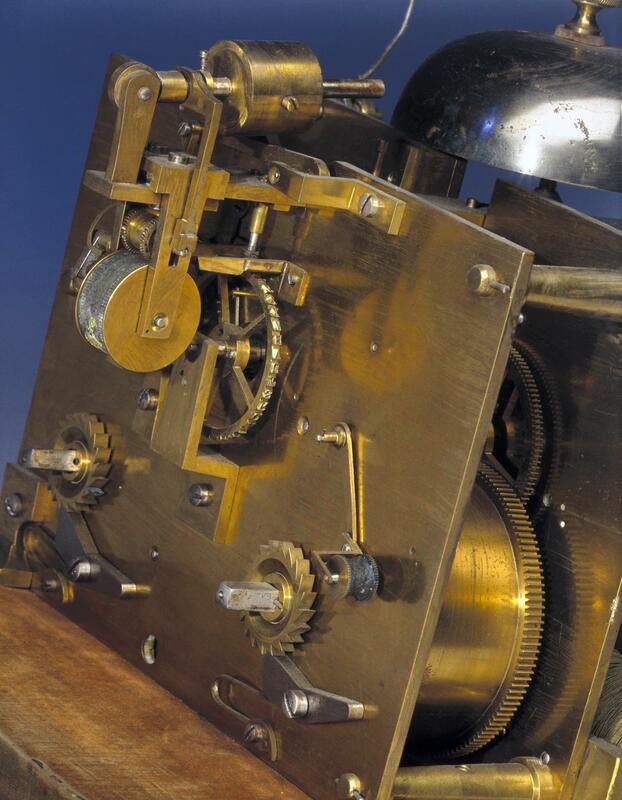 The type wheel has the same number of symbols in the same order as the transmitter, and used paper tape to print the messages. 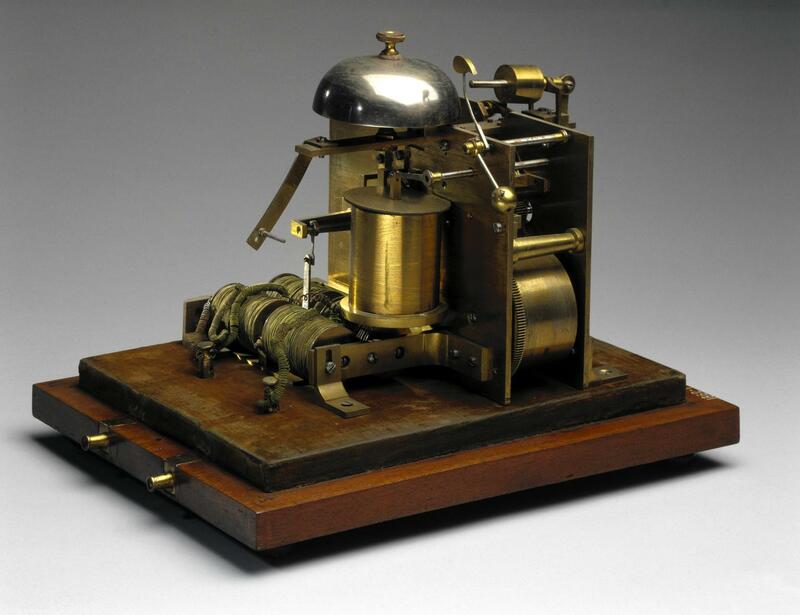 Brett acquired a UK patent for his 'improvements in electric telegraphy' based on the inventions of Royal House (1814-1895). 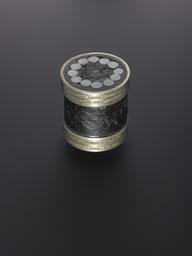 The cable that carried the message was laid between Dover and Cap Gris Nez in 1851.